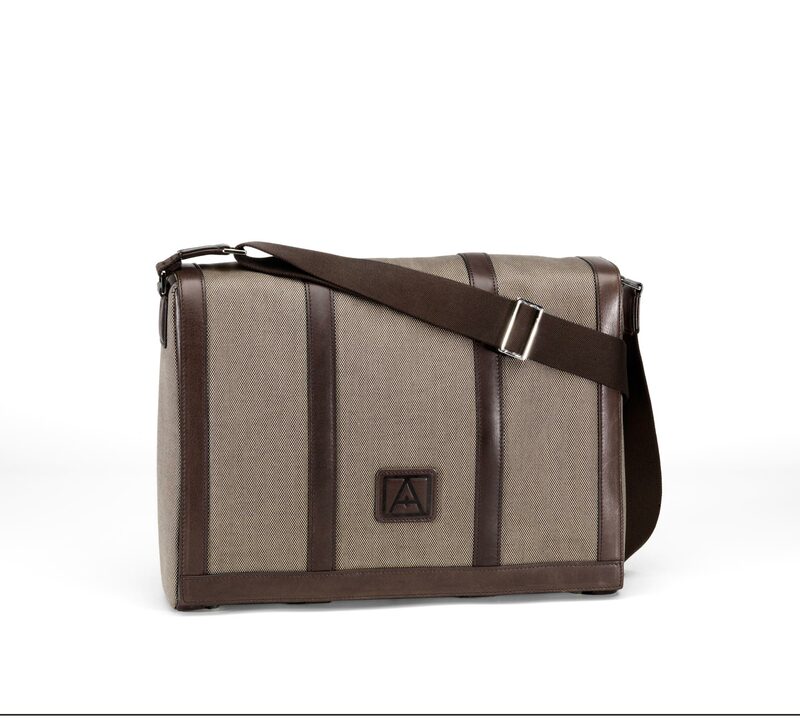 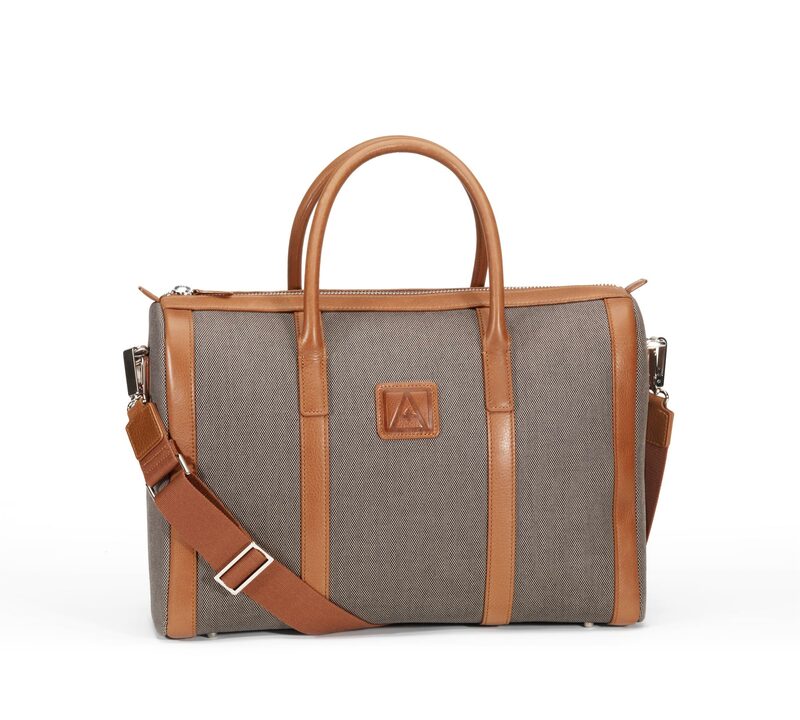 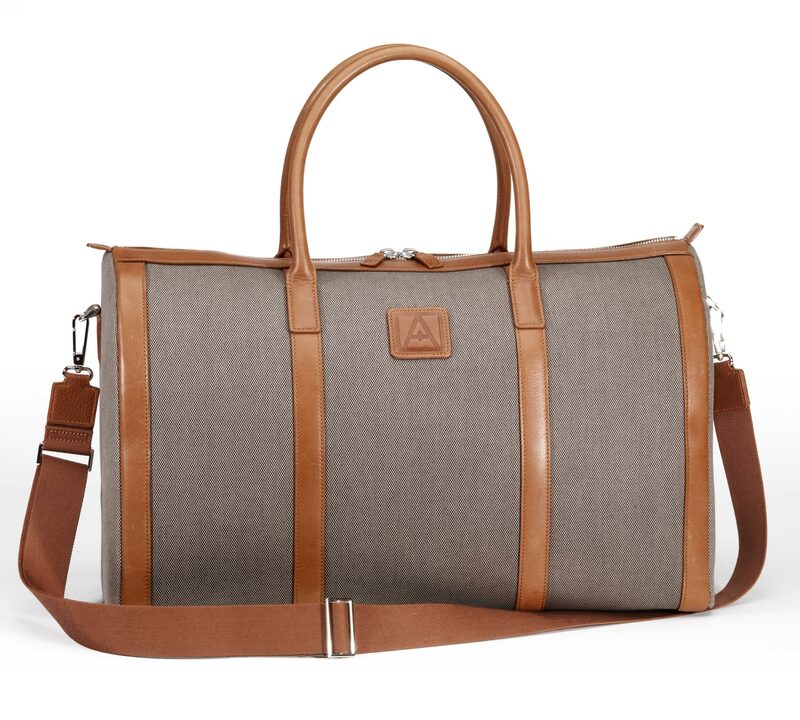 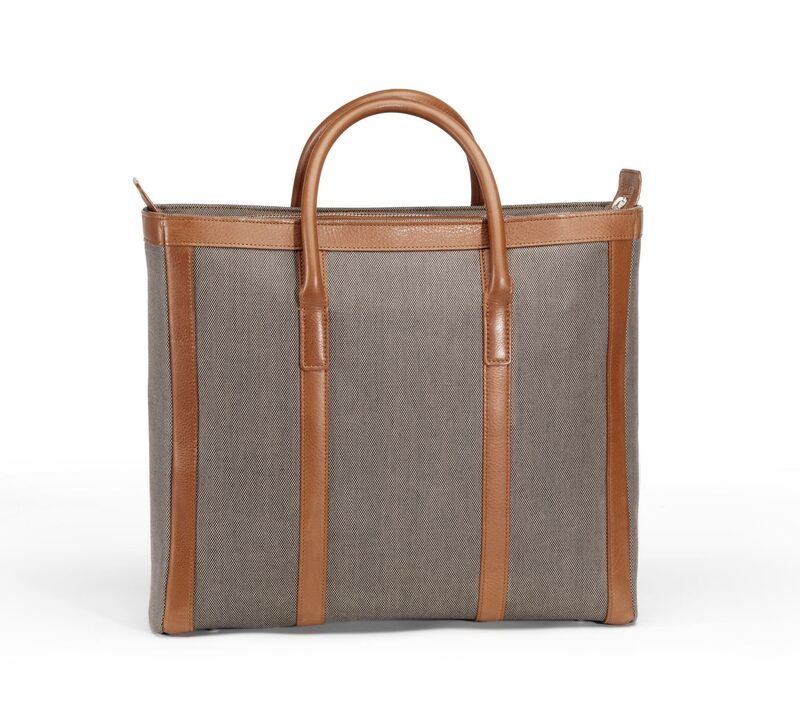 Mens bag 40cmx36cmx16cm in calfskin and canvas. 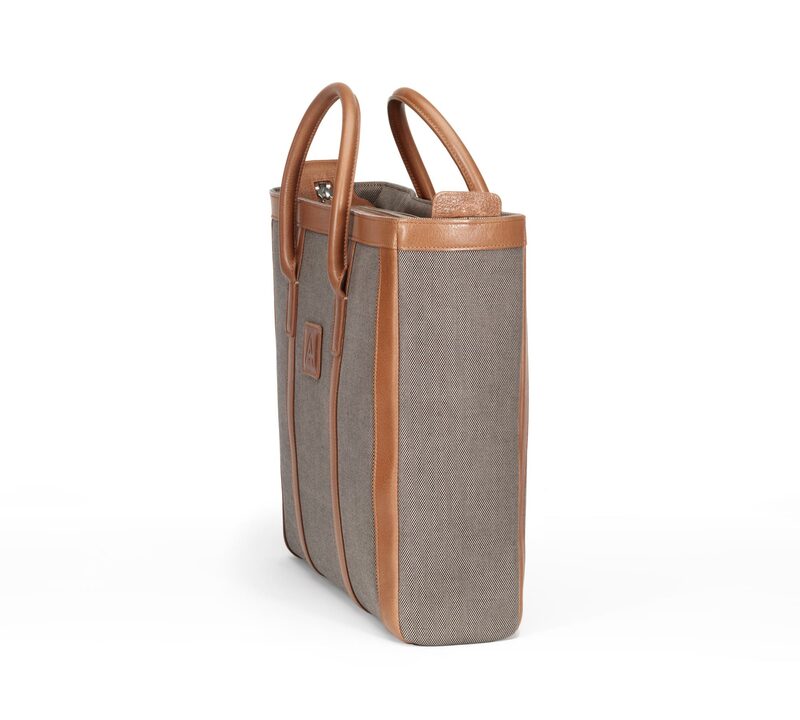 The bag is fitted with handles and has a zippered pocket inside. 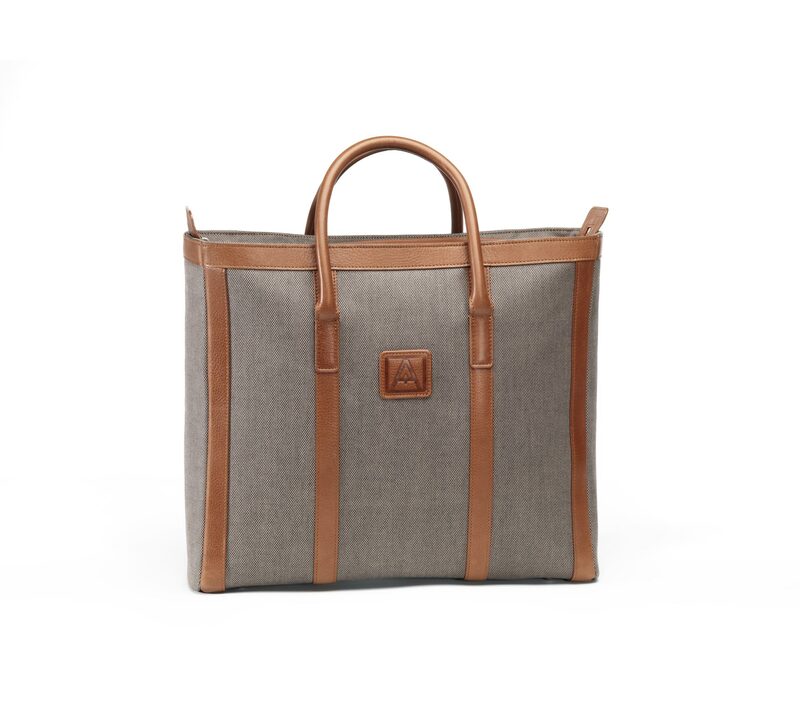 This bag is lined in fabric.